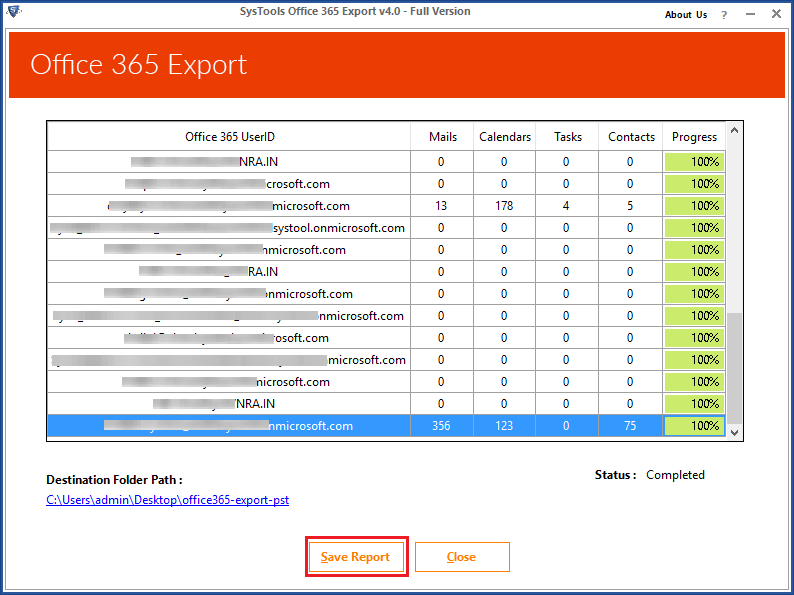 Office 365 Export Tool by SysTools rated 5-star from CNET to export Office 365 emails & other items. Using Admin account, software extract emails from mutilple O365 account in a single click. Windows8downloads users gives 5.0 star to Office 365 Email Extractor and states that software has distinct feature to export Office 365 mailbox to MSG & EML format. Softoware states that Office 365 Exporter permits to filter multiple O365 user account mailboxes and export them on local machine into MSG and EML formats without any data loss. Since even cloud isn't totally sheltered now because of several ransomware attacks 7 other threats.in such cases SysTools Office 365 Export provides users 100% success and accuracy to export & save Office 365 mailbox data locally in user PC in case of any disaster. After trying this software personally, I rate it as 9.8 out of 10 & a Highly recommended utility which is elusive. Majority of Office 365 administrators are searching for approaches to keep a duplicate copy of their mailboxes in PC arise an occurrence of Office 365 outages. Office 365 Email Export application by SysTools helps exporting Office 365 mailboxes in PST format, helps accessing their data in Outlook even in case of server outages & bad internet connection. SysTools Office 365 Export is a top-notch software extremely helpful to export email, contacts, tasks, and calendar from Office 365 account. Its beneficial for users with some special perks like exporting specific data from Office 365, within specific dates, export in-place archive mailbox. In addition, it is easily available for downloading free trial version via official site. Why Folks Prefer Tool Over Manual Solution? Interestingly, there is no specific method provided by Microsoft that downloads Office 365 mailboxes data on local system. Although, eDiscovery is a tool that use to search and hold the content of Office 365 for legal purposes. And, it gives the facility to move searched content into format on local environment. But, there are many downsides associated with eDiscovery Export tool that makes it unfit to handle such precious data of Office 365 primary mailboxes and shared mailboxes. To use service of eDiscovery tool in Office 365, the user account should have Discovery Management role group permission. Without this permission, no one can use In-Place eDiscovery tool and find content in Exchange online environment. As a result, no data will transfer from Microsoft Office 365 mailboxes. On a fundamental level, Microsoft Office 365 E3 or above plan is required to take full advantage of Advanced e-Discovery Tool across SharePoint mailboxes, Exchange online, OneDrive for Business, Skype for Business. Plus, to hold mailboxes content, it is must to have Exchange Online Plan 2 license. It is true that In-Place eDiscovery tool does not show the search contact quickly. This thing becomes cumbersome when there is a large volume of data. Adding to it, users find out that the resultant searched content was irrelevant sometimes. And, they have to execute search task and wait till the process gets completed. In fact, many times, when user extracts data from Office 365 mailboxes on local system, the file downloads with errors. To extract data from Office 365 mailboxes, software only needs O365 Administrator or User account credentials. After that, user has to select some option and rest of the process takes place automatically. So, there is no requirement to assign specific role to download O365 mailbox data in EML, & MSG format. Google Chrome, Microsoft Edge, Internet Explorer, Firefox. Hence, there is no web-browser dependency to use this tool. The Office 365 mailboxes, archive mailboxes, and shared mailboxes can be downloaded in EML, or MSG format from all subscription plan. Further, the tool support Office 365 Business Essentials, Office 365 A1, Office 365 A3, Office A5, Office 365 F1, Exchange Online Plan 1, Exchange Online Plan 2, Office 365 Business Premium, Office 365 Enterprise E1, E2, and E5. 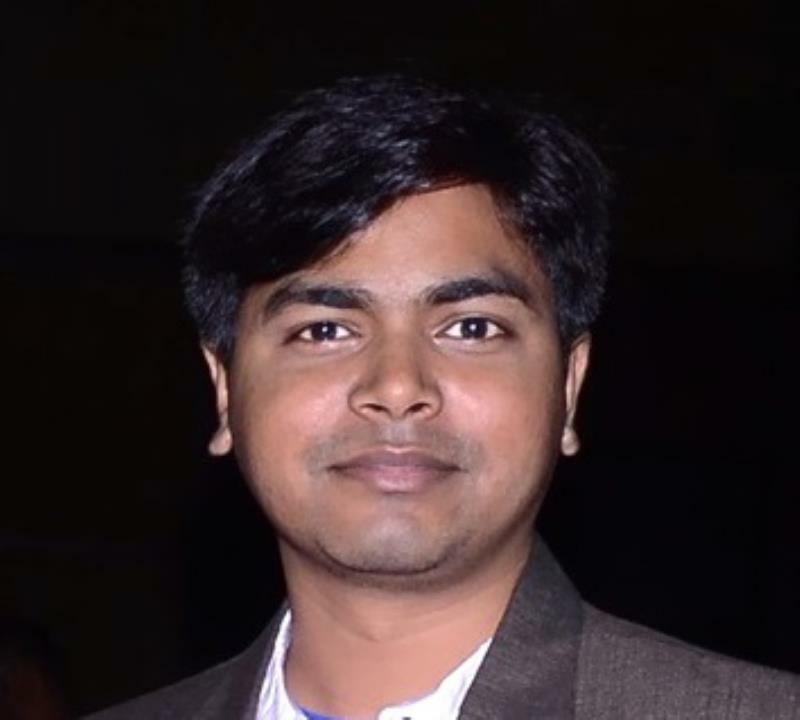 The resultant file whether it is in EML, and MSG created by software is completely error-free. User can easily import the output file in its supportive mail client and access its content. With this tool, users are free to select any data folder like Mails, Calendars, Tasks, Contacts, or Archive Mailbox and export its items on local machine in desired file format. Plus, the particular range of data can be downloaded from the folder instead of entire data using Date Filter of tool. The Office 365 Mailbox Export tool available for wide range of Microsoft Windows Operating System. It can be effortlessly installed on Windows 10, 8.1, 8, 7, or below editions. Which Data Components Extracted From Office 365 Mailboxes? Email Messages All email messages export along with complete meta-data properties. In fact, the read or unread status is also maintained. Mail Attachment Any email attachment i.e. documents and files will be migrated. File Attachment as Cloud Location Inbox, Drafts, Outbox, Sent Items, Deleted Items, Junk Email, Search Folders, RSS Feeds, Calendar, Contacts, Tasks, Notes, Journal. Note: It will recreate the original folder structure. Category & Priority Tool keep Category & Priority remain same after the export process. Mail Folder All the email folder structure look same as original even after downloading on local system. Date Filter Using software, it is easy to export emails within a specified timeline. Calendar Attachments Files or Documents, Cloud attachments like OneDrive link are downloaded with their respective event or appointment. Reminders Possible to save appointment reminder settings. Tasks Export Office 365 Tasks with complete details like Due Date, Start Date, End Date, Priority, Reminder, % Complete, Reminder. Task File Attachments Any type of document or file attached in Task. Contacts Email address, Mobile number, Work address, Home Address, Location associated with a single contact are extracted. The Office 365 Extractor tool is developed in such a manner that you can export multiple O365 user mailboxes into Outlook EML, and MSG file format in one go. One can only need to login as Office 365 administrator in the tool and save all the mailboxes data, including admin mailbox on local system in desired file format. Plus, the utility is enough efficient to export mailbox even if primary email ID and UPN address are dissimilar. Note: Admin account of Office 365 must be impersonated before you export email from Office 365 Mailbox. Office 365 Email Extractor allows the user to export Office 365 Archive mailbox / In-Place Archive emails in multiple file formats i.e. EML, and MSG. A user can also retrieve email according to a particular date range via using Date filter option. You just have to select a specific date range using “To” and “From” fields when you extract Office 365 Archive Mailbox emails or In-Place Archive. With the help of this software, the user can extract O365 shared mailboxes on local system in different file formats. Office 365 Mailbox Export tool downloads Inbox, Drafts, Sent Items etc data of shared mailboxes in EML, MSG file extension. In fact, with the help of filters, it is possible to export only the selected folders items of particular date range on the system. One of the great functionality of Office 365 Export tool is that it automatically fetch all the existing mailboxes, including admin mailbox on software panel directly after validating Office 365 account. Adding to it, it is possible to search specific User ID from the junk of mailboxes. So, this will saves lots of administrator time by uploading multiple mailboxes automatically. The Office 365 Data Export tool is equipped with amazing options and one of the feature is you can also download contacts, calendar, and tasks items using Office 365 admin or single user account. It moves every single detail on local system such as, in Contacts, the information of contact number, work address, email address etc are exported in original state. The Office 365 Extractor tool preserves all items associated with email during the export procedure that adds more reliability. It keeps email file attachment, cloud-link attachment, label, subject, internet header, formatting, date & time, CC, BCC, Hyperlinks in its original state. Plus, it retains the read or unread status of mail after downloading into desired file type. The Office 365 Email Export application facilitates the user to extract Office 365 mailbox and restores them in different file formats: EML and MSG formats. It equips the user to get individual Microsoft O365 emails together with attachment files. However, MS Outlook installation and configuration is mandatory for the working of the Office 365 export tool. Office 365 Extractor tool provides a choice to fetch only a limited amount of data instead of extracting the entire O365 mailbox. A user has to select the checkbox located beside the desired mailbox or other components in order to export emails from Office 365 account. This feature is of great use. It is not only a time-saving approach but, forbids irrelevant extraction when you export mailbox from Office 365 online. Office 365 email extractor permits the user to export Office 365 emails before regaining the data from the Exchange Online account. There is an option within Office 365 Mail Export tool to select some specific data lying within a definite date range. A user has to enter the “To” and “From” field to filter data. This is a unique feature to avoid the unnecessary data while exporting Office 365 mailboxes. The process to extract data from Office 365 can be stopped as many times as needed. To continue the operation, a user needs to click the Resume button. There is no requirement to start the process of Office 365 export all emails from the beginning every time it is paused. This feature is demanded when internet bandwidth is needed for other tasks too. Moreover, no changes are made in email formatting. The files, emails and other components exported from Office 365 Online Mailbox can be saved in different formats with the help of Office 365 Extractor tool. A variety of naming convention is available when you extract Office 365 emails to EML file formats like AutoIncrement, Subject, Subject_Date, Subject_From, Date_From_Subject, Date_Subject_From and many other combinations. Moreover, there are different formats to enter a date also. The Office 365 email extractor generates the status report during the process to extract data from Office 365. The final report generated at the end of extraction contains the necessary details like user ID, email count, calendar count, contact and task count. But in the case of Archive mailbox extraction, the report contains folder path, folder count, export count and fail count. Also, a progress tick is present at the end which symbolizes the successful completion of the process to export Office 365 Online mailboxes to EML & MSG. 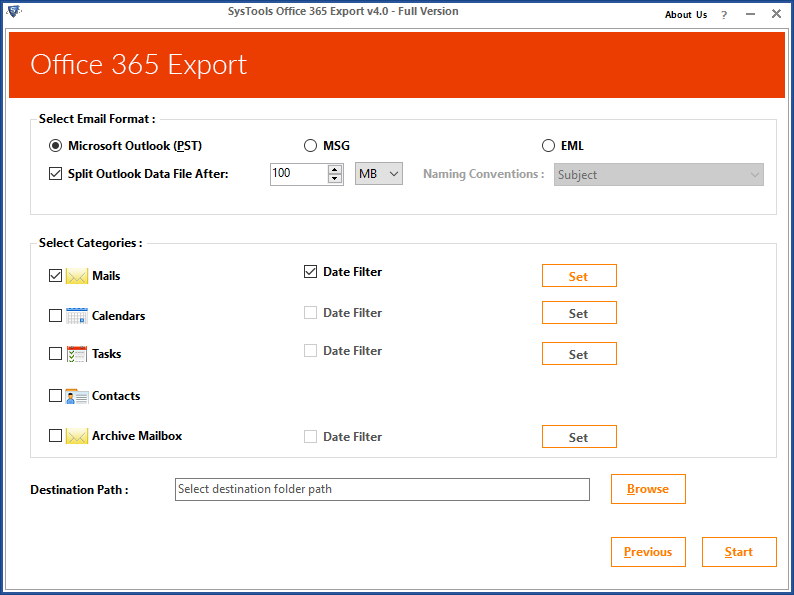 Office 365 Export Software provides an option named as ‘Split Outlook Data File After’. With the help of this feature, the resultant file divides into smaller files of defined size. This option prevents Outlook data file from corruption arises due to over-size. Interestingly, users are free to select size in GB or MB format and utility will break the output file according to mentioned size. Demo of Office 365 Email Export software extracts only first 100 emails and first 25 other items to / EML / MSG (only email messages) formats. Windows 10, 8.1, 8, 7, Vista and below. MS 2019, 2016, 2013, 2010, 2007 & below versions is necessary to Export Office 365 data into . Microsoft Azure Active directory module for Windows PowerShell. Microsoft Online Services Assistant setup allows users to sign in & authenticate to Microsoft Online Services like Office 365 without any need to re enter credentials again. 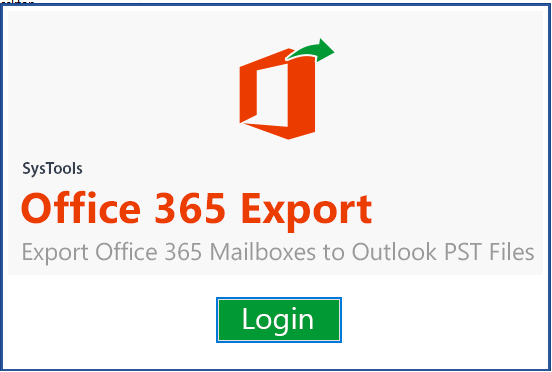 How to export emails from Office 365 webmail using O365 export tool? Step 1: Launch SysTools Office 365 Export Tool on your local machine. Step 2: Login & Select mailbox items you need to extract and save on PC. Step 3: Choose required file format and apply filter. Step 4: Next browse location to save the output file. Step 5: Click on Start, Export Process will start. Step 6: Once completed, click on Ok button. Step 7: Visit the destination path to view exported resultant file. Is it required to have the administrative credentials to export data from MS Office 365 account? No, to export emails from Microsoft O365 account with help of Office 365 Extractor Tool, there is no need to know admin credentials. It can be done on an individual level as well. Admin credentials are required when any user appeals to extract Office 365 emails from numerous accounts. But, if you have to retrieve a single O365 account, admin credentials are not demanded. 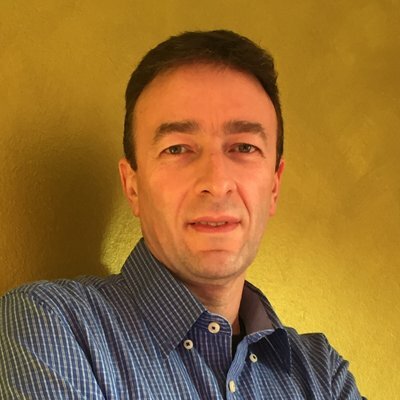 Does this Office 365 Exporter support to Extract Office 365 Archive emails locally? Can your product save the extracted data to the shared drive on a network? Yes, the Office 365 Export Tool manages to store the extracted Office 365 data in the shared folder with prerequisite permissions. Does your Office 365 Email Extractor provide the feature to regain only some data and excluding the others? No, MS Outlook installation is required for working of Office 365 Extractor Tool. How will I know if any of my emails are not extracted during the process to download emails from Office 365 using this utility? After the process to extract data from Office 365, a complete export report is generated. It will show a tick sign if there is 100% extraction, otherwise not. Will this utility export shared mailbox from Office 365? Yes, Office 365 Mailbox export software allows users to export office 365 shared mailbox easily. 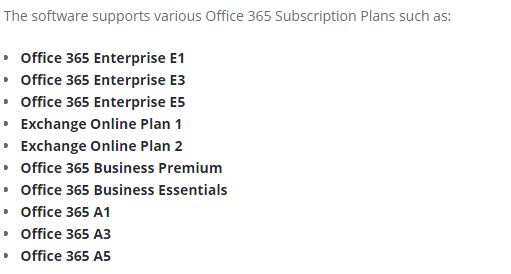 Mention the Office 365 Subscription plans supported by Office 365 Exporter? Office 365 mail Extractor is a useful program to extract emails from Office 365. I have been using it for last 3 months and its performance is really very nice. The installation process is very easy. The user interface of the product is very simple. The features listed were genuine. This tool has made it very easy to export Office 365 mailbox. Office 365 Email Export is the professional tool to export Office 365 data. It impressed me on multiple levels. No doubt, the tool yields very effective results when you extract Office 365 emails in a very short duration of time. Moreover, the support team is very technical and offers a good customer service. Great job. 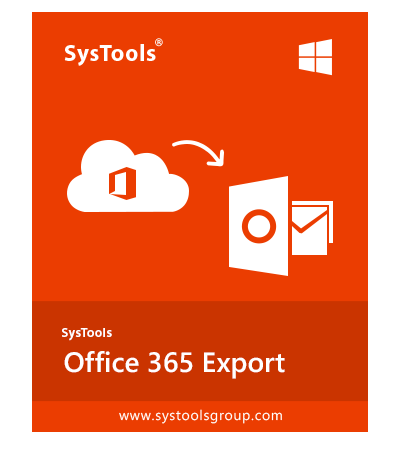 The SysTools Office 365 Exporter is a simple but intelligent software to export mailbox from Office 365. It saves a lot of time and effort to extract data from Office 365. It was the only tool that we were lacking previously. Thanks to the development team for making it painless, pleasant and most importantly hassle-free. 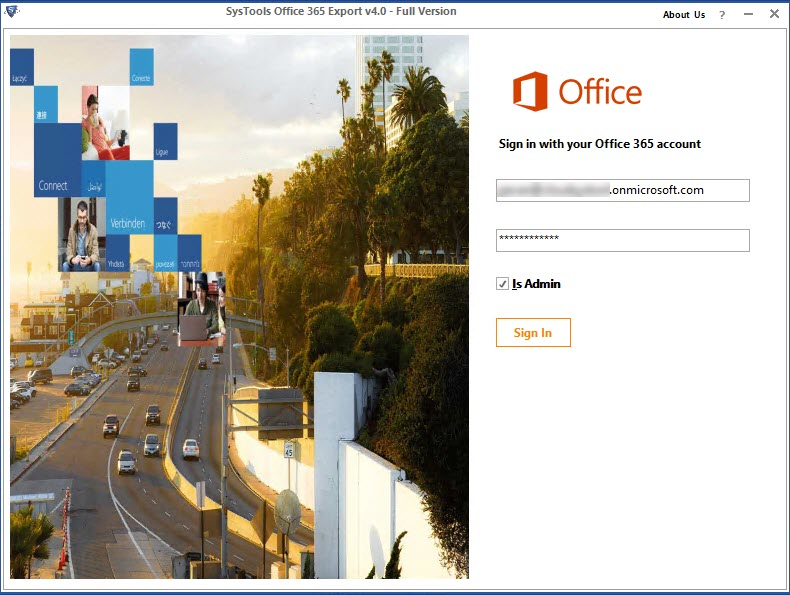 Step 1: Install & Login Office 365 Extractor Software. Step 2: Enter Office 365 login credentials. Step 3: Click on "Export" for Office 365 bulk export. Step 4: Successfully extracted data from O365 Account.